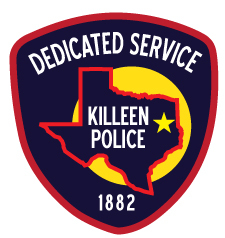 On Wednesday, February 28, 2018, at approximately 12:00 p.m., Killeen Police were dispatched to the intersection of Franz Drive and Culp Avenue in reference to a 911 call about shots fired. Upon the officers’ arrival, they found a male lying in the roadway suffering from a gunshot wound. Officers immediately started to perform life saving measures until paramedics arrived. The victim was transported to the Carl R. Darnall Medical Center in critical condition. The preliminary investigation revealed that the victim and suspect were involved in a verbal dispute that led to the shooting. Witnesses told officers that the suspect fled the area in a gray 2-door sedan at a high rate of speed. Officers located the suspect vehicle traveling eastbound on Rancier Avenue and attempted to conduct a traffic stop but the driver refused and a pursuit ensued. The suspect driver led officers on a short chase, coming to a stop near the intersection of Rancier Avenue and Shims Blvd. At approximately 12:20 p.m., officers apprehended the 31 year-old suspect without incident. The 32 year-old male victim, Lamar Marcell Roberson of Killeen, succumbed to his injuries and was pronounced deceased by Justice of the Peace Claudia Brown at 1:21 p.m. An autopsy has been ordered to be performed at the Southwestern Institute of Forensics Sciences in Dallas. On Wednesday, February 28, 2018, detectives with the Criminal Investigation Division – Special Victims Unit were notified about a social media post that suggested a threat of violence to the Audie Murphy Middle School, Roy J Smith Middle School as well as other local area schools in general. The post was sent out in the early morning hours on Tuesday, February 27, 2018, and detectives have been working diligently on these threats day and night. With the cooperation of the social media providers, the detectives were able to locate the suspect in this case. A search warrant was obtained and a 12 year-old juvenile was arrested for Terroristic Threat. The Killeen Police Department takes these threats very seriously and acts promptly with respect to them to protect the students and staff of KISD schools and the citizens of our community. We would like to thank the Killeen Independent School District, KISD Police Department, Fort Hood Criminal Investigation Division, the Federal Bureau of Investigations and the citizens of our community for assisting with this investigation. Killeen Police Department terminates employment for the Animal Control Manager, Edward Tucker. Mr. Tucker was placed on paid administrative leave pending an investigation into a complaint of misconduct in the workplace. While that investigation was ongoing, Mr. Tucker submitted a two-week notice, indicating his intent to retire. The investigation supported the allegations of misconduct, and on Monday, February 26, 2018, Mr. Tucker’s employment was terminated. On February 22, 2018 the Killeen Police Department received a “request to apprehend” from the Columbus, Ohio Police Department for ALLANTE J. TALLEY. Talley had an active Murder warrant out of their agency, and intelligence indicated that he was in the Killeen, Texas area. On February 23rd, at approximately 2:50 p.m., detectives with the Killeen Police Department’s Special Missions Unit, working with Agents of the U.S. Marshal’s Service Lone Star Fugitive Task Force out of Waco, located Talley at a residence in the 1600 block of Fairview and successfully took the suspect into custody without incident. On Wednesday, February 21, 2018, at approximately 6:16 p.m., Killeen Police were dispatched to the 1700 block of Spring Rose Circle in reference to a shots fired call. Upon the officers’ arrival, they found a deceased black male lying at the residence. The investigation revealed that during a burglary of the residence, shots were fired. Justice of the Peace Bill Cooke arrived and pronounced male deceased at 6:47 p.m. He ordered an autopsy to be performed at the Southwestern Institute of Forensic Sciences in Dallas. Next of kin has been notified however the name of the 16 year-old suspect of the burglary, will not be released because he was a juvenile. The Criminal Investigation Division, Homicide Unit, continue to investigate this shooting and information will be released as it becomes available. In December 2017, the Killeen Police Department received multiple reports of indecency with a child. Through the investigation detectives with the Criminal Investigation Division, Special Victims Unit, were able to identify the suspect. As a result of the investigation, two warrants were obtained; one for Indecency with a Child by Sexual Contact and one for Aggravated Sexual Assault of a Child. On February 21, 2018, detectives located and arrested 42 year-old Mario Reyes Junior in Temple, TX and transported him to the Killeen City Jail. On February 22, 2018, Justice of the Peace Bill Cooke arraigned Reyes and set his bond at $250,000 for each charge. The Bell County District Attorney’s Office continues to review these cases and additional charges are pending. Officers responded to a 911 call at approximately 12:01 p.m. in reference to a Robbery at the Cash Store located at 719 W. Rancier Ave on Tuesday, February 20, 2018. Upon the officers’ arrival, they were told that two black males entered the store where one displayed a handgun and demanded money. The suspects fled southbound on foot, with an undisclosed amount of money. The first suspect is described as a black male in his 20’s, approximately 6’ tall, 170 pounds, possibly with a beard or goatee. He was last seen wearing a black beanie, eyeglasses, a white/crème long sleeve shirt, and black pants. The second suspect is described as a medium build black male, approximately 5’02” tall and was last seen wearing a dark colored hooded sweatshirt, black pants and royal blue shoes. Detectives with the Criminal Investigation Division, Violent Crimes Unit, are asking anyone who has information about this Aggravated Robbery to contact Crime Stoppers at 254-526-TIPS (8477) or go online at www.bellcountycrimestoppers.com. You can also download the P3Tips App for IOS and Android and give an anonymous tip. All information given is anonymous and confidential, and if your tip leads to the arrest of the person(s) responsible for this Aggravated Robbery, you could be eligible for reward up to $1,000 in cash. On Monday, February 12, 2018, at approximately 6:02pm, officers were dispatched to a 911 call to the Mickey’s Convenience Store located at 4302 Stan Schlueter Loop in reference to a robbery. Upon the officers’ arrival, they were told that a black male walked in the store, displayed a weapon and demanded money. The store clerk complied with the demand and the suspect fled on foot in an unknown direction. There were two employees at the time of the incident and no injuries were reported. The suspect was described as a black male, approximately 5’8”, last seen wearing all dark clothing. On Tuesday, February 13, 2018, officers were dispatched to the 2100 block of Moonstone Drive in reference to a pursuit and a barricaded subject. While on scene, patrol officers located a second suspect involved in the pursuit. Through the investigation, detectives with the Criminal Investigation Division, Violent Crimes Unit, identified this suspect as the individual that robbed the Mickey’s Convenience Store the night before. On Thursday, February 15, 2018, the Bell County District Attorney’s Office reviewed this case and returned a complaint charging 22 year-old Joshua Aaron Bishop of Killeen with Aggravated Robbery with a Firearm. Justice of the Peace Claudia Brown arraigned Bishop and set his bond at $100,000. UPDATE – On Wednesday, February 14, 2018, the Bell County District Attorney’s Office reviewed this case and returned a complaint charging 27 year-old Jessie Frank-Edgar Nichols of Killeen with Evading Arrest or Detention with a Vehicle. Justice of the Peace Claudia Brown arraigned Nichols on February 15, 2018 and set his bond at $75,000. Killeen Police Tactical Response Unit ends standoff peacefully on Moonstone Drive. On Tuesday, February 13, 2018, at approximately 3:25 p.m., officers attempted to conduct a traffic stop on a stolen vehicle at the intersection of Crested Eagle Drive and Stan Schlueter Loop; the driver refused to stop and a pursuit ensued. The driver led officers towards Old FM 440 and Anna Lee Drive when a patrol cruiser’s brakes locked up causing the patrol vehicle to strike a pole. The suspect driver continued to flee as other patrol units joined in the pursuit. The suspect came to a stop in the 2100 block of Moonstone Drive and fled on foot towards a residence. The Tactical Response Unit was deployed to the scene at 5:16 p.m. The team attempted to make contact with the subject, requesting his surrender, however they received no response. At 10:20 p.m., TRU officers made entry into the residence and located a male suspect. He was taken into custody without incident and transported to the Killeen City Jail. There were no injuries reported. Detectives with the Criminal Investigations Division continue to investigate this incident. The name of the 27 year-old male has been withheld pending formal charges from the Bell County District Attorney’s Office. Information will be released as it becomes available. On Monday, February 5, 2018, Police Chief Charles Kimble passed his Texas Commission on Law Enforcement test, and is now a certified Texas police officer. Over the past several months, Chief Kimble completed all the requirements mandated by TCOLE to reach the final step of appointment. Chief Kimble will be sworn in on Friday, February 16, 2018 at the Killeen Police Department Headquarters. He will be joined by family, friends and department personnel during his swearing in celebration.